Hooked On The American Dream: NY Times-President Obama Defends His Record on "The Daily Show"
NY Times-President Obama Defends His Record on "The Daily Show"
WASHINGTON — If you are president of the United States and you take your campaign get-out-the-vote blitz to a fake news program, do you get tweaked, or do you get a pass? 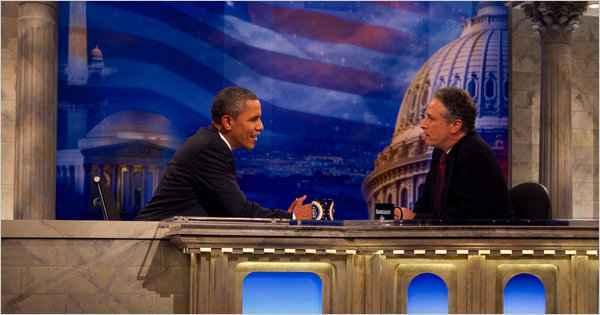 You get tweaked, as President Obama discovered Wednesday, when he made his first appearance as president on “The Daily Show” on Comedy Central. As the host, Jon Stewart, needled him, the president declared that he never promised transformational change overnight.